In common belief, the only job of a Director of Photography is to shoot accurately whatever happens in front of the camera. That is an unfair assumption. One of the main figures in a production―and not just for technical knowledge―the DP usually works with the director in order to transform all nonverbal components of a narrative into visual elements. That, in fact, is the rationale behind the name cinematographer (from its Greek roots, “the one who writes with motion”). The main functions of the cinematographer are lighting, coloring, framing, adjusting the exposure and moving the camera. These elements create a visual environment which helps the audience better apprehend the characters and the story. Although combined with aspects such as set and wardrobe―every element in film is essential―it is the cinematographer’s job to create the atmosphere demanded by the narrative. Therefore, it is usual for a director to team up with a specific cinematographer who collaborates in the pursuit of shared intentions and a given style. The history of film is very recent in comparison to that of other forms of art, and its aesthetics have undergone many changes due to the development of new technologies. The cinematographers listed below in alphabetical order were the best in their time, those who best used the instruments available at the moment to shoot beautiful films. John Alcott’s partnership with Stanley Kubrick was probably one of the greatest gifts film lovers have ever gotten. Having studied lighting and its naturalistic possibilities, he first got the director’s attention while shooting 2001: A Space Odyssey and was then promoted to lighting cameraman. They would later be responsible for the development of innovative techniques that would transform filmmaking. Alcott’s feature film as a DP was A Clockwork Orange (1971). Four years later, he would work with Kubrick again in the audacious Barry Lyndon (1975), which might have been, in an aesthetic perspective, the highest point of his career. During its three hundred days of shooting, there was almost no use of electric light―what was even harder then due to technical limitations―and therefore a special lens (F/0.7) was designed and produced by NASA exclusively for the film. Five years later, John Alcott’s use of the Steadicam in The Shining (1980) would innovate camera movements and perpetuate his deserved recognition among the greatest cinematographers. Nestor Almendros was born in Spain and moved to Cuba when he was eighteen to live with his exiled anti-Franco father. In Havana, he was the co-founder of the first cinema club in the country and wrote film reviews. Still in Cuba, he started to work as a filmmaker. He was however frustrated with the Cuban Revolution and moved to Paris, where he would become an important figure of the Nouvelle Vague. During the sixties, he had a prosperous partnership with Eric Rohmer which began with his first feature film as a cinematographer, The Collector (1967). They would later work together in some of the most important films from the era, among them My Night With Maud (1969), Claire’s Knee (1970) and Chloe in the Afternoon (1972). He also worked with other important directors from the french movement, including François Truffaut (The Man Who Loved Women , Love on the Run ). 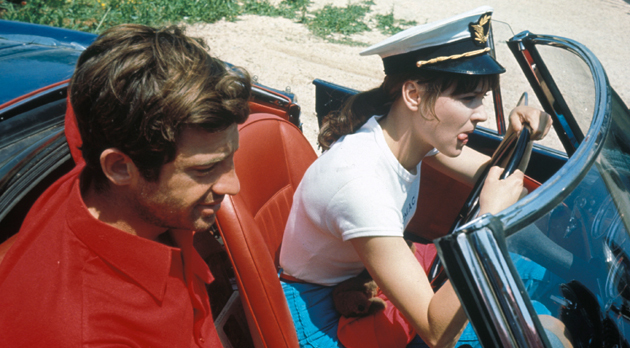 In the late seventies, Almendros had already photographed outstanding movies. But that was when his career in Hollywood started, and he would prove himself to be one of the best cinematographers the world has had. Almendros worked continuously until his death in 1992, and among the films he photographed in Hollywood are Mallick’s Days of Heaven (1978)―for which he won an oscar―Kramer Vs. Kramer (1979) and the stunning Sophie’s Choice (1982). Almendros was strongly influenced by film noir and therefore a master in lighting. Even though his technical skills are undeniable, he believed that the two most important characteristics in a cinematographer are sensibility and the ability to work “as depository or transmitter of progress or discoveries in what has been called ‘cinematographic language'”. His filmography shows he succeeded. The Californian Robert Burks was Alfred Hitchcock’s favorite director of photography. They worked together in more than ten movies, including the successes Strangers on a Train (1951), Rear Window (1954), Vertigo (1968) and The Birds (1963). He is commonly referred to as a chameleon due to his flexibility and facility to adapt according to the film and the director. 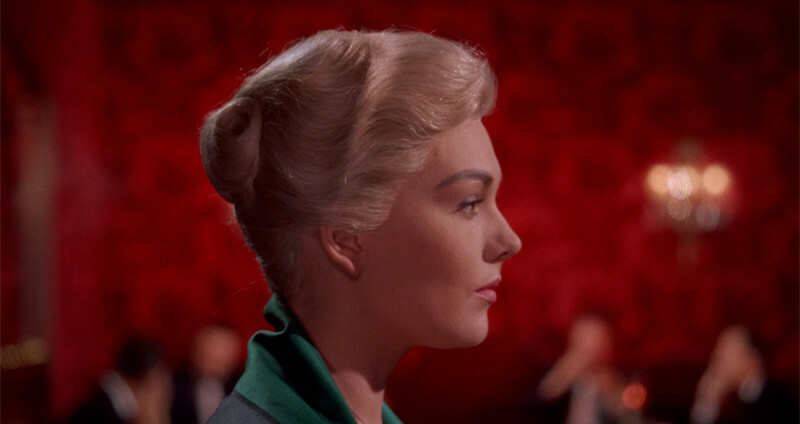 Hitchcock was one among the few directors who survived the advent of colored movies, and probably one of the main reasons for that was having Burks by his side when the transition happened in the mid-50s (Vertigo was his first coloured movie). The cinematographer would later do very audacious coloring experiences―probably very influenced by Hitchcock―that sealed the reputation of his big range of styles. The highest point was in the feverish contrasts in the palette of Marnie (1964). Burks won the cinematography Academy Awards for Best Cinematography in 1955 for his work on To Catch a Thief. Although he worked in other great productions such as The Spirit of St. Louis (1957) and The Music Man (1962), his ongoing reputation relies on the outstanding work he did with the master Alfred Hitchcock. The British Jack Cardiff was the first director of photography to win, in 2001, an Honorary Oscar in the history of the Academy Awards. The rationale behind it is that his outstanding career started with primordial silent movies and lasted until the 21st century, containing around a hundred movies. Michael Powell described him as “a genius, a daydreamer, a baby. He should have been a painter instead of being the best colour cameraman in the world.” Although his most known work is for his cinematography, he also directed many movies and worked in almost all departments of film production: art direction, editing, visual effects and even acting (for the first time at the age of four). Cardiff won his first Academy Award for Best Cinematography with his beautiful Technicolor work on Black Narcissus (1947). He then won again with War and Peace (1956) and for the third time with Fanny (1961). Among the greatest directors he worked with are Alfred Hitchcock (Under Capricorn ), the partners Michael Powell and Emeric Pressburger (Black Narcissus and The Red Shoes ) and John Irvin (Ghost Story  and The Dogs of War ). A documentary called Cameraman – The Life and Work of Jack Cardiff (2010) dives into the trajectory of this remarkable artist in a very poetic way and is highly recommended. Michael Chapman was one of the most prominent filmmakers of the 70s and 80s. He started his career as a camera operator in very well known films like The Godfather (1972) and Jaws (1975). Later, he would become Martin Scorsese’s favorite cinematographer for a decade, in which they produced very important movies, such as the remarkable Taxi Driver (1976), the documentary The Last Waltz (1978) and Raging Bull (1980), which was their last production together. 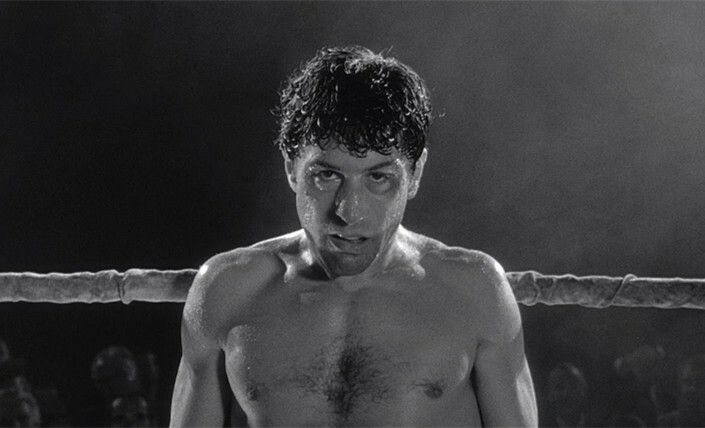 In Richard Schickel’s Conversations with Scorsese (2010), the director says he considers Raging Bull one of his best photographed films. 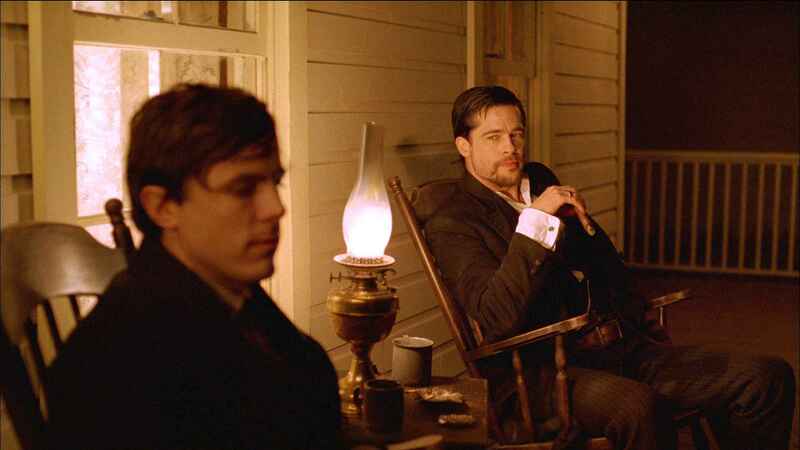 He briefly tells Richard about a disagreement he and Chapman had, and that it took him fourteen years to know that the cinematographer did not really like how the movie turned out. However, there is no certainty of why their partnership finished then. After his collaboration with Scorsese, Chapman directed three movies during the eighties, being the most famous one All Right Moves (1983), which starred Tom Cruise in a breakthrough role. He retired after shooting Bridge to Terabithia (2007), stating that he was not updated with the new technologies and did not really want to shoot anything in digital. 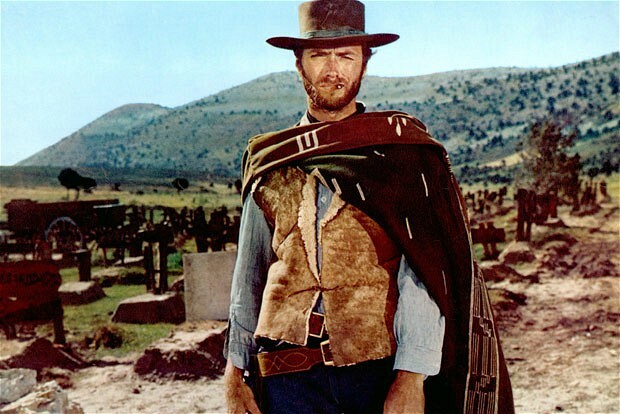 Therefore he considered it better to retire after shooting one last beautiful film. Raoul Coutard is one of the most known figures of the French Nouvelle Vague. His interest in photography started when he was sent to the French Indochina War and spent eleven years in Vietnam working as a war photographer. A witty story tells his first work as a cinematographer: he was invited by the director Pierre Schoendoerffer to photograph his film The Devil’s Pass (1958). However, Coutard believed that he was going to shoot production stills and, never having used a film camera before, accepted. Thereafter, he never stopped. Coutard’s most acclaimed work was shot with the director Jean-Luc Godard. Their collaboration started with the film against the director’s will in the film Breathless (1960). Godard had already settled with another cinematographer, but the producer hired Coutard instead. He would later photograph almost all of Godard films during the Nouvelle Vague, such as My Life to Live (1962), Alphaville (1965) and Pierrot le Fou (1965). They worked together only once more after 1967, in First Name Carmen (1983). He also had a shorter but significant partnership with François Truffaut, which resulted in memorable films like Jules and Jim (1962) and The Bride Wore Black (1967)―their last work together, and rumors say they argued heavily during its shoot. Coutard’s cinematography marks the aesthetics of one important era of film production and therefore is highly recommended. The British Roger Deakins is known for his affection for realistic and simple aesthetics. He once said that “there is nothing worse than an ostentatious shot”, and his rather tasteful modesty has made him one of the most appreciated cinematographers among film lovers. In his adolescence, Deakins wanted to be a painter. He studied graphic design in the Bath School of Art and Design, where he discovered his passion for photography. Probably his ability for composing fascinating shots come from this primordial interest, showing how related cinematography is to painting. Although simplicity is one of his most powerful characteristics, he has worked with distinct glorious directors, such as Sam Mendes and Martin Scorsese. He has also had an impressive twenty-five years old partnership with the Coen Brothers, which had a six years break, but luckily is coming back in 2016 with the release of their new film Hail, Caesar! Known for his British caution and perfectionism, Deakins has won uncountable meaningful prizes and was nominated for twelve Oscars in the Best Cinematography category. He is responsible for some of the most beautiful-looking movies of the last thirty years, such as Shawshank Redemption (1994), Fargo (1996) A Beautiful Mind (2001), The Assassination of Jesse James by the Coward Robert Ford (2007) and Skyfall (2013). Hence a journey through his productions is highly recommended for those who love film. Tonino Delli Colli’s career began almost simultaneously to Italian film, one year after the opening of the Cineccità in Rome. He was then only sixteen years old and was asked whether he wanted to work in the sound or in the camera department. “Life is always a matter of luck”―as he once said―because he picked the second one not really knowing what it meant. Lucky him and lucky us. He would later become the most notorious italian cinematographer of all times. He worked with some of the greatest directors in Italy, such as Federico Fellini, Sergio Leone and Pasolini (with whom he collaborated most); and also with acclaimed non-italians like Roman Polanski and Jean-Jacques Annaud. These names show how fascinating was the range of styles he was able to work with. His versatility made him responsible for some of the most important moments in film history: he was in the heart of the Italian Neorealism; he shot the first italian colored movie (Toto in Color ); his work with Leone made him a big figure of the “Western Spaghetti”; and his fruitful collaboration with Pasolini made him a reference among intellectuals. The last film he shot was the heartbreaking Life is Beautiful (1997) by Roberto Benigni. He died of a heart attack in 2005, a few months after being awarded the American Society of Cinematographers’ International Achievement Award. 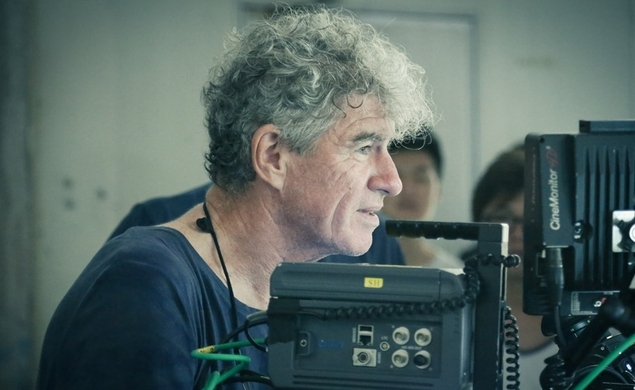 At only sixty-three, australian Christopher Doyle has been credited in approximately one-hundred movies and has won awards in important film festivals, such as Cannes and Venice. In his twenties, Doyle moved to China, where he learnt the language and travelled around Asia working in different things, as a doctor of Chinese Medicine in Thailand, for example. His interest for photography started in the late seventies, but it was only in 1983 that he became a cinematographer. According to him, it happened by accident. Doyle has worked with many important directors, but his most acclaimed and noteworthy work was done during his partnership with Wong Kar Wai, which lasted fifteen years. Doyle was responsible for the fascinating colors and framings achieved in the director’s most remarkable films, such as Days of Being Wild (1991), Ashes of Time (1994), Chungking Express (1994), In the Mood for Love (2000) and 2046 (2004). In the last decade, important films he was a cinematographer for include Gus Van Sant’s Paranoid Park (2007) and Jim Jarmusch’s The Limits of Control (2009). With an average of four movies a year, Doyle is tracing his path to become one of the most important figures in film history. If one takes a careful look through this list, they will realize that cinematographers usually live long. Swedish Gunnar Fischer, however, beats them all: in 2011, he died a few months before his 101st birthday. Before his debut as a Director of Photography, Fischer was a camera assistant in almost twenty pictures and trained under Julius Jaenzon, the cinematographer of the greatest swedish silent films. That was when he developed some of the techniques he would improve later on: high contrast and an expressionistic approach to lighting. Fischer is mostly known for his partnership with Ingmar Bergman. They collaborated in some of the directors best known films, such as Summer with Monika (1953), Wild Strawberries (1957), The Seventh Seal (1957) and The Devil’s Eye (1960), which was their last work together. 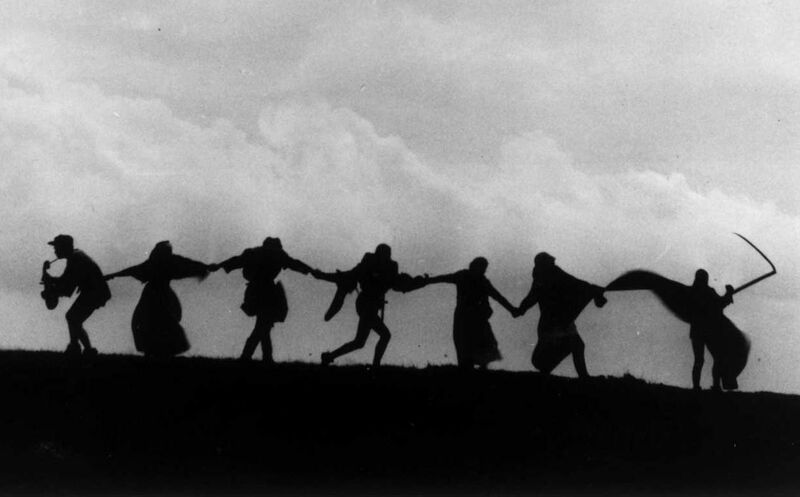 He was great in monochromatic shooting and gave Bergman’s films the expressionistic looks and the contrasts which intensified the psychological world within the images. Gunnar once said that his work with Bergman allowed him to enrich his pictorial expression, what would bring him to work with Walt Disney in the television film Hans Brinker, or the Silver Skates and refuse to work with Bergman in his following film, The Silence (1963). This was when their partnership ended, and Bergman replaced Fischer for Sven Nykvist. Fischer received the Ingmar Bergman Award in 1992 and an honorary Guldbagge Award for lifetime achievement in 2002.